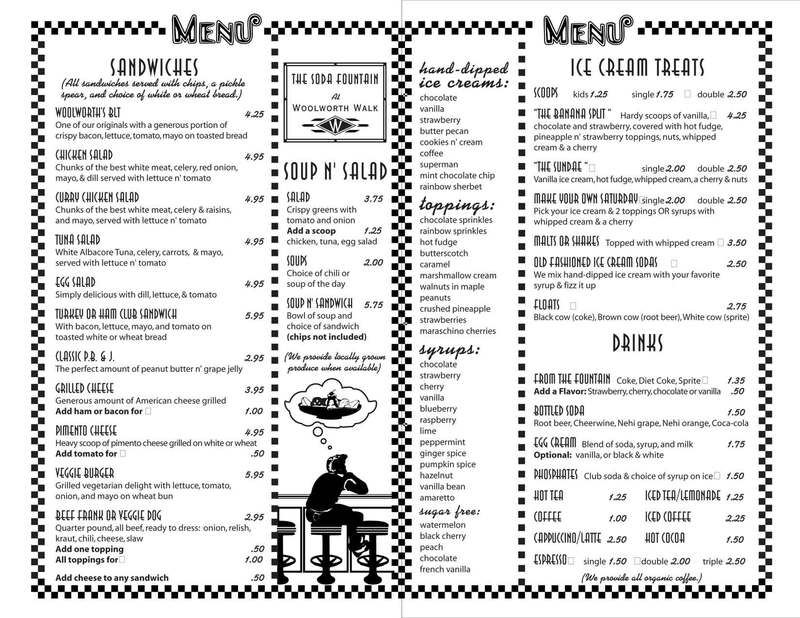 What’s a brand new old timey soda fountain without a menu? Utilizing their previous full page ad as inspiration and staying with black and white for cost reasons made perfect sense. 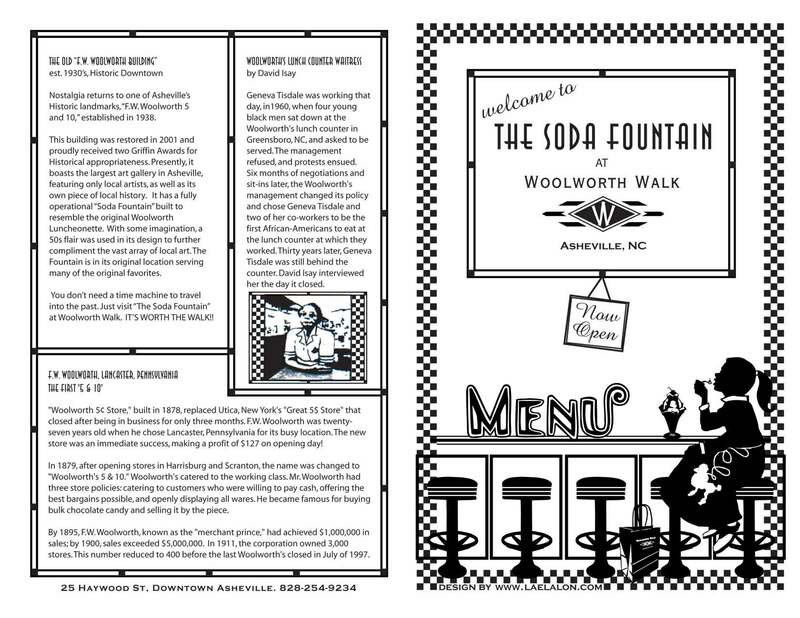 Fitting their large menu onto a single piece of paper that even old eyes could order off of, and featuring stories from the original soda fountain (in the same spot) really challenged my design and typography skills, but I managed quite well, thank you! I highly recommend the BLT! Printed August 2004.